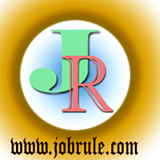 Railway Recruitment Board (RRB), Ahmedabad published Non Technical Popular Category (NTPC) Graduate CEN 03/2012 Final Second stage result of “Commercial Apprentice (CA)”, “Traffic Apprentice (TA)” and “Goods Guard (GG)” and Document Verification/Checking time table and schedule with necessary instructions. Based on the 2nd Stage Written Examination held on 18.08.2013, Total-272 (TwoHundred Seventy Two) candidates, whose Roll numbers are given below in ascending order, are found provisionally eligible for “Verification of Documents and Genuineness of candidature” for the posts of Commercial Apprentice, Traffic Apprentice & Goods Guard. Merely calling a candidate for “Verification of Documents and Genuineness of candidature” does not in any way; entitle them for an empanelment/appointment in the Railways. Call letters to the provisionally eligible candidates will be issued through Registered Post. Candidates must bring original documents along with attested copies of documents in support of Date of Birth, Educational Qualification and Caste Certificate for SC/ST/OBC (Not older than one year for OBC) candidates in prescribed proforma. Serving Government / Public Sector Undertakings Employees should bring No Objection Certificate with them. 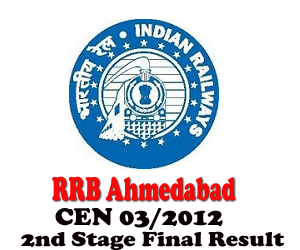 The Result is also available at Notice Board of RRB Office as well as on RRB Ahmedabad’s Website www.rrbahmedabad.gov.in and shall also be published in Employment News.